Your vision, cast in stone... Distinct, Dramatic and Eco Friendly. Ancient Stone creates durable, dramatic architectural accents that reflect your unique tastes and styles. Ancient Stone® will blend custom colors to match any existing décor. Our product selection includes structural elements such as columns, balusters, corbels, wall veneer, and caps. Architectural elements including window and door surrounds, fireplace surrounds, mantels, and hood surrounds are all manufactured using our proprietary process of a precast cement-based product. We also produce a lightweight version that is virtually indistinguishable from our original product. As an alternative to traditional flooring materials, we offer a wide variety of different sized pavers, deck tile, pool coping, floor tile, and stair treads and risers. Ancient Stone® precast pavers and tile provide ease of installation, affordable pricing, thermal capabilities (cool in summer, warm in winter) slip resistance, and beauty, making them a logical choice for any type of flooring. 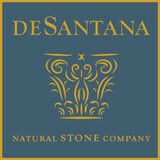 Proudly made in the U.S.A., Ancient Stone® is produced locally in Phoenix Arizona and shipped worldwide. Our product has been used throughout the Valley since 1988, creating points of pride for international celebrities, as well as prominent businesses in the community. 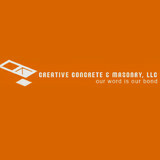 Creative Concrete & Masonry has been in business since 1999 and is a leader in concrete and block work for custom homes. As a subcontractor who wants to make the general contractor look good, we get the final product done right the first time to keep your schedule moving forward and your customer happy with the finished product. Architectural Stone Concepts (ASC) a Scottsdale, Arizona Stone masonry company, will be glad to enhance your project with a beautiful stone veneer. With numerous styles and colors to choose from there is an option to allow your home to thrive in all architectural climates to insure timeless style. We can also install other products such as Stucco Home Textures, Natural Stone, Cut Veneer, and other masonry products. At ASC we are committed to providing distinctive stone solutions for even the most discriminating client. We will capture your personal style from classic old-world, contemporary sophisticated to edgy modern. Our design team makes a scrupulous effort in procuring a product that truly looks and feels like the natural stone look you want to achieve. You’ll find that everyone at ASC has a steadfast commitment to customer satisfaction, which guarantees a level of service and consistency found nowhere else in the industry. European Pavers Southwest, Inc. have been in the paver business since 1978. We have over 40 years of experience in the industry giving us a leading edge over the competition. Kim Miller, President of European Pavers Southwest, Inc., started running the family owned business 13 years ago and became President in 2007. We are current members of the Interlocking Concrete Pavement Institute, Kim serves as a member on several committees on the national board. So not only do we follow industry standards we help create them. Welcome to FlooringInc.com, your Flooring Superstore! Our mission is to provide our customers with the best quality flooring at the guaranteed lowest price. We carry numerous name brand and private label floor products to ensure we have the flooring option you need. Major brand names we carry include Shaw, Milliken, US Floors, Daltile, Emser, Fanmats, Joy Carpets, FoamTiles.com, Rubber Flooring, Inc., Nike and more. The types of flooring we provide are wood, laminate, engineered wood, vinyl, WPC luxury vinyl, cork, ceramic tile, porcelain tile, bamboo, carpet tiles, carpet rolls, area rugs, rubber, garage, foam, underlayment’s, along with installation accessories. What separates FlooringInc.com from other flooring providers is that we shop our competition daily to ensure the lowest prices. We believe in delivering the best customer experience for your flooring projects. All sales and service members are in house flooring specialists who are highly trained to help you find the exact flooring product to fit your needs. What separates FlooringInc.com from other flooring providers is that we shop our competition daily to ensure the lowest prices. We believe in delivering the best customer experience for your flooring projects. All sales and service members are in house flooring specialists who are highly trained to help you find the exact flooring product to fit your needs. Don't forget samples! Get 3 FREE Samples on us! Samples ship straight to your door so you can test the quality of our products from the comfort of your home. Please send all sample requests to Houzz@flooringinc.com. FROM OUR QUARRY TO OUR FACTORY TO YOU This is the Durango Stone Advantage. We own the quarries, we own the factory. We have total control of the finest quality natural stone in the industry. There are no limitations to your natural stone needs. Our state of the art factories and natural stone quarries have been serving design conscious professionals and homeowners worldwide for over 30 years with production of the finest travertine and marble limestone available. Premium stone can be an elusive material, but not for those willing to free it from the Earth. Let us share our passion and respect for our natural stone products with you. Founded by Robert Hanson in 1996, GarageFloorCoating.com specializes in the installation of residential coating systems (garage floors, walkways, driveways and patios). Recognizing that the available generic store-grade epoxies were inadequate for use in Arizona’s climatic extremes, Robert created and perfected proprietary coating products, systems and installation processes. As part of its commitment to quality and continuous improvement, all processes involved in the estimation, preparation and installation of GFC coating systems and customer communication are standardized. GFC’s heart is in the right place too. We are an enthusiastic supporter of local schools in the community including Desert Willow and Lone Mountain Elementary Schools, our veterans, by way of the Greatest Generations Foundation, and cancer research, by way of Miles Against Melanoma, a nationwide non-profit organization whose mission is to provide funding for awareness, education, advocacy and research for skin cancer, melanoma and cancers related to melanoma. Reno Brothers is an Experienced Concrete Specialist in Maricopa County. Our versatility, beauty, and durability provide the perfect finish for almost anywhere in or around the home. Concrete work requires specific experience, and whether your upcoming project is large or small, you need a concrete specialist who understands the intricacies involved. That's where Reno Brothers Concrete Designs LLC comes in. Our licensed and insured Maricopa County concrete specialists have the skills to complete your concrete job safely and efficiently. At Reno Brothers Concrete Designs LLC, our concrete specialists are well-versed on zoning laws and requirements to make certain your project goes off without a hitch. When you work with us, we'll take care of every detail from start to finish. All you have to do is describe what you're looking for and let us provide you with affordable, quality concrete work. And as a client, you'll be able to benefit from our: Competitive pricing Accurate on-site job estimates Reliable project managers and crew For more information about the various services we offer or to speak with a concrete specialist from our team, call Reno Brothers Concrete Designs LLC today. 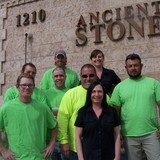 Arizona Stone & Architectural Products LLC. Arizona Stone was founded in 2003 with the core vision that focuses on our commitment to providing the finest customer experience in the industry and developing partnerships with our customers. Selling a myriad of stone and architectural products, our company hopes to individualize building projects to support our customer's needs. Precision Garage Works® is a company built on Integrity. We do the work and we do it the right way, the first time. We know how important a garage is so we treat every garage as if it were our own. At Precision Garage Works, it is our goal to give every customer the custom garage to fit their needs. We believe in quality and Precision in the work we do. At Precision Garage Works®, it is our goal to transform your garage from the ordinary, to the extraordinary. From our premium garage flooring, garage cabinets, garage wall organizers and car lifts / vehicle storage, we are ready to tackle your biggest projects. Whether you need to get a little more garage organization or want to turn your old garage into a showroom, one call to Precision Garage Works will get the job done right and will stay looking great for years to come. We use only the best quality products and materials, then add in professional installation service for the best job every time. We perform our own floor installations–we never hire out cheap labor or subcontractors. 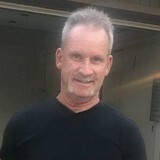 Serving Phoenix Arizona and surrounding cities. BULLETPROOF BRAND CONCRETE COATINGS is the premier boutique concrete coatings manufacturer in the U.S. We have been featured on Extreme Makeover Home Edition. We manufacture our own proprietary line of over 100 industrial-grade, concrete coatings materials, so chances are, we may have just the right solution for your project. Applicators, contractors & homeowners around the country & in Canada apply our BulletProof Brand concrete coatings for their residential and commercial projects. Contact us at (602) 501-4870 to discuss your concrete coatings project at your convenience; or, email us at support@bulletproofbrandcoatings.com We offer our reputable BulletProof Brand products to the construction trades and homeowners around the world at reasonable prices. Our chemists have specifically formulated a multitude of products including epoxies, polyurethanes, polyaspartics, primers, novolacs, mortars, binders, sealers, densifiers, crackfillers, waterproofers and cutting-edge, Metal-Armor, nanotechnological coatings with longevity as our company’s principal obsession. BulletProof Brand products are immersion-tested against a broad range of chemicals including gasoline, motor oil, vegetable oil, mustard, urine, transmission fluid, mineral spirits and a variety of acids. In addition, compressive and tensile strength of many of our coatings are unparalleled in the industry. Our apex materials can withstand up to 10,000 psi so that your coatings remain intact! If you require a company-recognized, local applicator to perform your coating application, kindly call (602) 501-4870 today, and we would be happy to make a recommendation. BulletProof Brand Concrete Coatings stands behind our product line with a lifetime ltd warranty. Our customers consistently rank us atop the competition for product ingenuity, customer service aptitude, attention-to-detail and technical expertise. Save time, money and keep your creative control. Over 35 years of experience. Come directly to us for all of your concrete needs when selecting contractors for building your custom pool. John’s Concrete specializes in creating the perfect pool experience. From the beginning stages of shotcrete and decking to custom designs, colors and accents, John’s Concrete starts with a solid foundation and finishes with a style amd process that meets your vision. Choose from the look of stamped concrete, traditional acrylic to tumbled pavers or anything you can dream up. Start your project today with the best, most qualified team in Arizona, John’s Concrete. With over 35 years of experience, John’s Concrete will create the pool of your dreams to enjoy for many years to come. Let Arizona Hardscape Creations llc. help you design and create your outdoor living space. Arizona HardscapeCreations installs top quality products that will give you years of enjoyment and adds value to your home investment with driveway paving, brick pavers and more . Arizona Hardscape has I.C.P.I. certified installers and hands on owner management. We offer outdoor lighting packages, fire pits and other custom features for your backyard renovation. We believe no dream is too small or too ambitious for your backyard. As an Industry Professional Dan will be on site to guarantee the work gets done right. For the past 20 years Dan has been in the backyard business from pavers to patio covers and demo to design. We work with top quality products to assure you that the job will last for years of enjoyment. Your project pays for itself with the quality added to your property value. So enjoy it now and have it pay you back when you sell your house! You will work one on one with our expert designer, Our designer will learn about your vision, your backyard space, your budget, and your timeline. Then we will create a unique plan to make your dream a reality. We understand your time is valuable and your home is your Relaxation space. We respect that and will not drag out any project. Customer Service is our #1 priority. For the most part, people hire a stone or concrete contractor for large installations like driveways and walkways, or for home facades and exterior columns. These brick, pavers or stonework installations can add lots of functionality and visual curb appeal to your Arizona home. Pavers come in a wide variety of colors, shapes and sizes, and the right vendor or specialist can help you choose a color and design that complements your existing landscaping. From installing new exterior columns to repairing your chimney, masonry contractors can help you add both visual appeal and value to your property. They’ll know what kind of installation makes the most sense for your Tempe, AZ climate and regional style. Looking for something that will develop a patina with time? Or would you rather have your home feel brand new for years to come? Choosing the right kind of stone involves thinking about the future, too. Experienced brick suppliers and stone suppliers can help you find the material that will work for your home now and for years to come. These professionals aren’t limited to exterior work either. Whether you want a split-stone granite wall in the kitchen or need help installing traditional brick masonry on your fireplace facade, you’ll want a professional to get it right. If you’re already working with an architect or designer, he or she may be able to suggest a good Tempe, AZ subcontractor to help out. Here are some related professionals and vendors to complement the work of stone, pavers & concrete: Landscape Architects & Landscape Designers, Architects & Building Designers, Garden & Landscape Supplies, Driveways & Paving, Siding & Exteriors. Find stone, paver and concrete professionals on Houzz. Search the Houzz Professionals section for Tempe, AZ stone, paver and concrete professionals. Browse photos and read reviews, and contact a pro if you like their work.